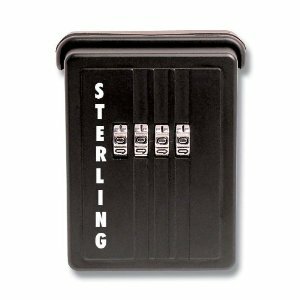 The Sterling Key Safe Is A Tough, Durable Strongbox. The Sterling Key Safe is the solution to the problem of how to leave keys safely for visitors or disabled or elderly carers who need access to a property. It’s never wise to leave keys under the door mat or plant pot (even though we’ve all done it!) 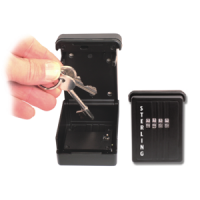 - store your keys in a secure, purpose built container that can only be opened by someone that knows the combination.